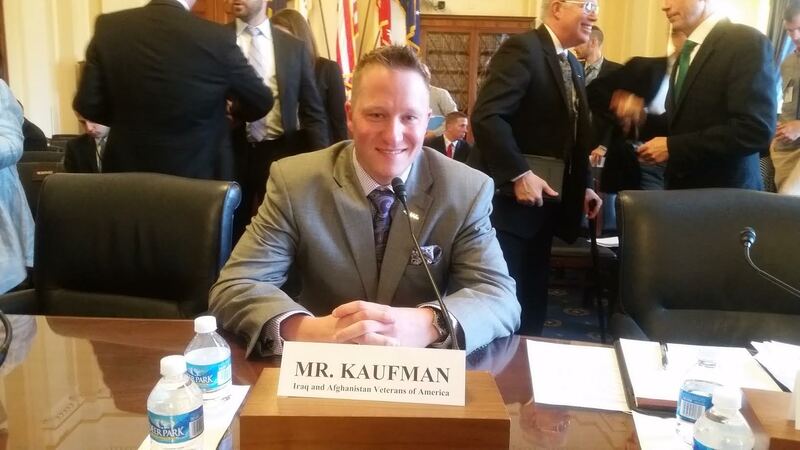 On Thursday, while on one end of Capitol Hill former Secretary of State Hillary Clinton was testifying on Benghazi, IAVA Regional Leadership Fellow and Nebraska native Ryan Kaufman was testifying before the House Veterans Affairs Economic Opportunity Subcommittee on his experiences with the VetSuccess on Campus (VSOC) program. The VSOC program helps veterans, servicemembers and their dependents succeed through on-campus benefits assistance and counseling, leading to completion of their education and preparing them for viable careers. Thanks to the program, Kaufman is now making strong headway toward his bachelor’s degree. Professionally, he is now a peer-to-peer specialist providing critical support to Nebraska veterans and their families. For IAVA, he travels across Nebraska to connect veterans with needed resources and one another. He also coordinates community events, including IAVA member VetTogethers and peer support programs. 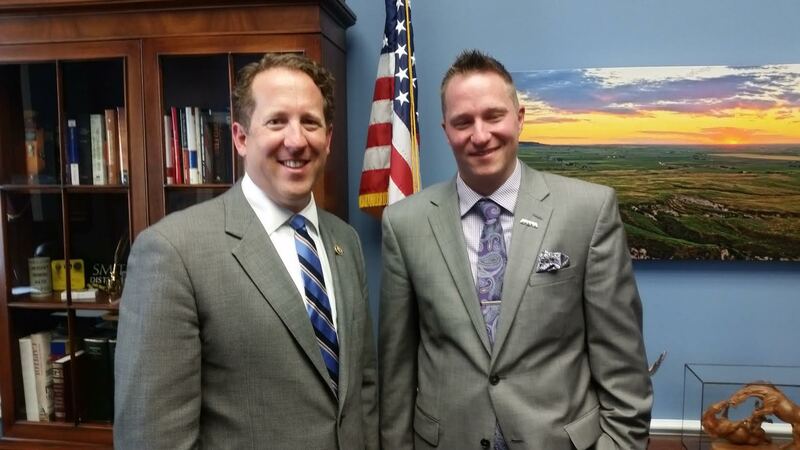 Before the hearing, Ryan met with his Congressman, Adrian Smith (R-NE), and then with Subcommittee Chairman Brad Wenstrup (R-OH), and both gave a welcome that helped put him at ease. 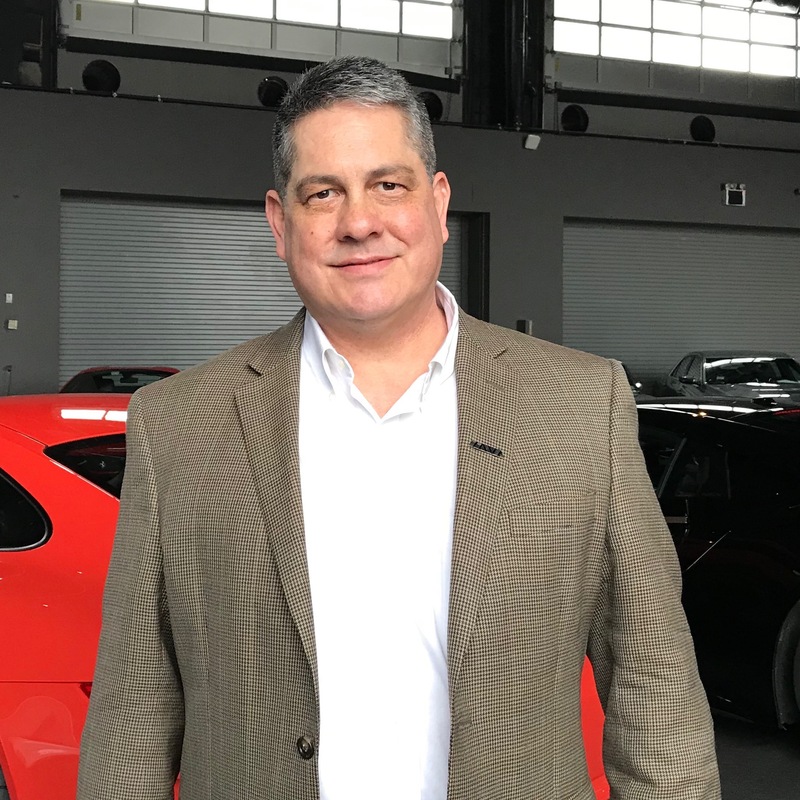 During the hearing, Kaufman gave such compelling testimony that the sometimes distracted Committee Members were glued to his story, and he received strong compliments from the panel’s leaders and other witnesses during and after the hearing. Ryan Kaufman is the perfect example of an empowered veteran and is the epitome of what #VetsRising is all about.